Hello Friends, are you looking for JKPSC Admit Card 2019? If yes, then here is very important news for you. 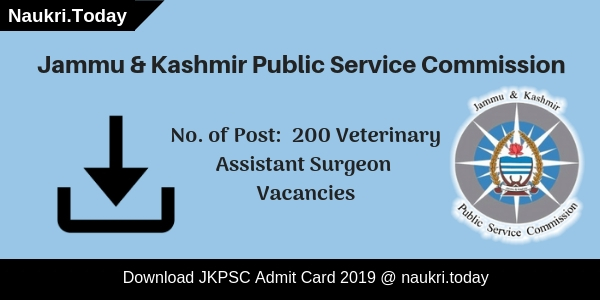 Jammu Kashmir Public Service Commission is going to take written examination for 200 Veterinary Assistant Surgeon (VAS) Post. To appear in JKPSC VAS Exam applicants must download hall ticket. Department is going to organize a written exam on 17.02.2019. JKPSC VAS Hall Ticket 2019 notification will release on 07.02.2019. 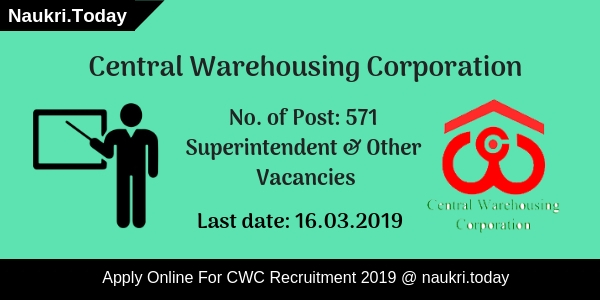 For more details, the candidate must read the given article carefully. Fresh Update as on 05.03.2019: Participants who are appearing for JKPSC Exam must download their admit card from here. Department will release JKPSC Hall Ticket 2019 before 10 to 15 days of exam. Candidates can download it from the link given here. Fresh Update as on 22.02.2019: Hello Friends, JKPSC Department has released Forest Rang Pre Test Admit Card. Candidates who register for JKPSC Forest Rang Exam may Download JKPSC Hall Ticket 2019 from links given here. Fresh Update as on 08.02.2019: Participants who are going to appear for JKPSC VAS Exam can download hall ticket from here. Department has issued JKPSC Admit Card on its official website. Applicants can download from the direct link given here. How To Take JKPSC VAS Hall Ticket 2019 When Someone Forgot Registration ID & Password? Examination Pattern for Veterinary Assistant Surgeon Jobs 01 Paper with 120 Ques. with 01 Mark each and duration will be 02 hours. Candidate should contact to department or should check their mail which was received at the time of filling application form. Otherwise, applicants can also check message received on registered mobile number there will be registration id & password available. First of all candidates log on to the Jammu Kashmir PSC Website jkpsc.nic.in. Now Click on Download JKPSC Admit Card 2019 link. Log in your Account by using Reg. No. & Other Details. Check all the information from JKPSC VAS Call Letter, which is shown on screen. Take print out of JKPSC Hall Ticket 2019. Conclusion: Jammu Kashmir Public Service Commission is going to organize written exam for 200 Veterinary Assistant Surgeon (VAS) Post. Participants must download their JKPSC Admit Card 2019 to attend exam. JKPSC VAS Exam will take place on 17.02.2019. Department will issue JKPSC Hall Ticket on 07.02.2019. About JK Public Service Commission Exam: Jammu & Kashmir Public Service Commission has already removed the Application Form Submission notification through its official Website.JKPSC Jobs 2016 appearing candidates started their preparation.This is Good News for the JK Public Service Commission Exam aspirants that Call Letter of JKPSC Recruitment for the Examination will be updated on its Official Website with complete details regarding the JKPSC Vacancies 2016. Jammu and Kashmir Public Service Commission (JKPSC) has issued a recruitment notification for filling up 277 post Administrative Service, Police Service & Other Vacancy. JKPSC started the registration process in month of June dated 22.06.2016 and it was completed on 22.07.2016. Very large number of applicants has applied for J&K Combined Competitive exam 2016 and now the applied candidates are looking for JKPSC Admit Card 2016. Candidates are informed that the JKPSC Admit Card will be published before the exam. Jammu & Kashmir Exam Centre 2016 : Jammu & Kashmir Public Service Commission will conducting the examination for 277 vacancies for Administrative Services. JKPSC written test to be held on various center’s in different regions. The Commission reserve the rights to change any exam center at any time and allot a different centre to a candidate. J&K Combined Competitive (Preliminary & Main) Examination 2016 : Jammu and Kashmir Public Service Commission has submitted the applications form successfully filled by candidates.JKPSC also noticed the Jammu Kashmir PSC Examination Date on its official website. The Examination will held in two Parts as Preliminary Examination followed by the Mains Examination. The Examination dates are notified in Official Notification.Now,candidates waiting for the Admit Card can download the JKPSC Hall Ticket 2016 very soon through its Official Website.So,candidates are requested to be prepared with their registration Id or Application no. to download the admit card. Candidates must note that JK Public Service Commission Call Letter will be necessary at the time of examination.Entry in Exam Center can only be possible with admit card of JKPSC Jobs. 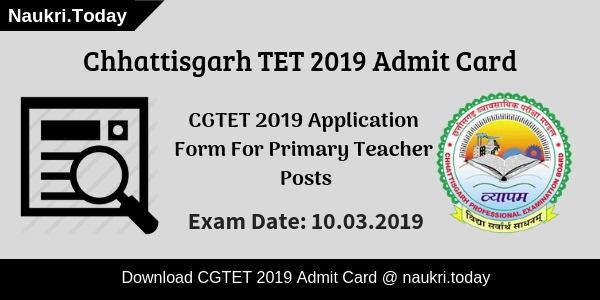 Admit Card will contain the complete information about the Exam Centers,Exam Date,Recruitment rules and other necessary details. Log on to the Official Website www.kjpsc.nic.in. Click on the JKPSC Admit Card 2016 Link. Enter the Application no./Registration ID. Download the JKPSC Admit Card and keep it for future use. JKPSC Admit Card 2016: Jammu & Kashmir is going to conduct exam on 25th Sept. and 1st Nov. 2016. Candidates will be able to download the JKPSC Hall Ticket 2016 very soon through its Official Website.